This easy homemade French bread recipe is sure to be a hit! 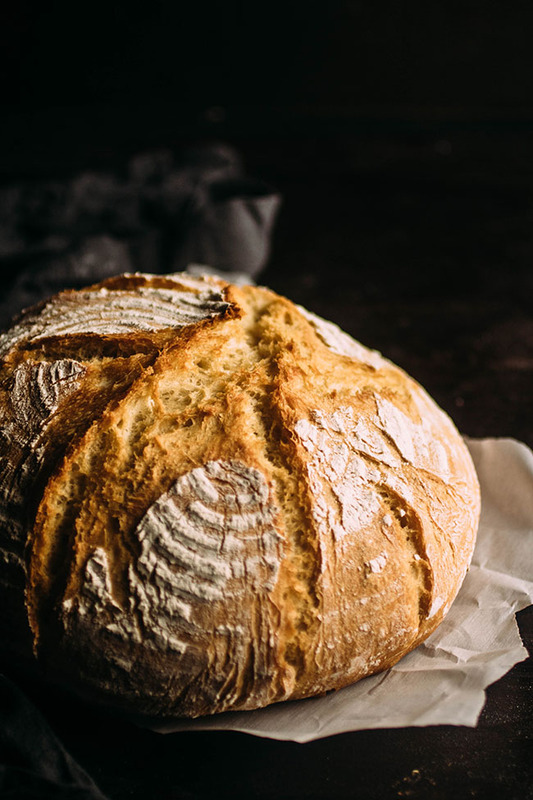 Homemade dutch oven bread that’s ready in just a few hours – no need to let it rise overnight. Crispy crust on the outside and soft, airy bread on the inside! Vegetarian. In a hurry? 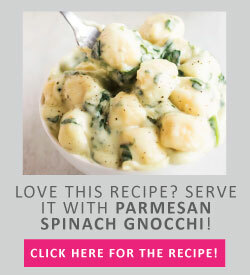 Click here to jump straight to the recipe & VIDEOS! YOU CAN MAKE THIS BREAD. For serious. For realz. FOR REALZ FOR SERIOUS. It will only take you 2.5 HOURS. Maybe a tad longer the very first time, because of the directions-reading and such. But the second time? 2.5 hours FO SHO. It tastes amazing. RIDICULOUSLY amazing. YOU CAN MAKE THIS BREAD ⬇⬇⬇. The other thing that makes this bread so great? This proofing basket. It’s my new major life discovery. SO. FANCY. 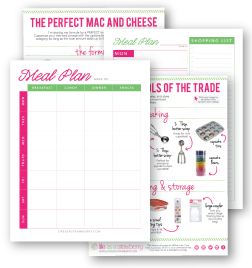 (PS – No proofing basket? No worries! Just use a mixing bowl and plenty of flour to keep the bread from sticking). It’s a fairly quick recipe (only a couple of hours! ), which means you can throw it together on a whim. I love whim-baking (real thing? I say yes) because 1) I do not plan far enough ahead to start bread more than three hours before I want to eat bread and 2) WHY would anyone want to wait longer than absolutely necessary to eat delicious, crusty French bread? The instructions here look a little long, but they’re all basically just notes on technique – so don’t let the number of steps intimidate you! After a couple of adventures with this bread, you’ll be able to throw it together in your sleep. Easy dutch oven bread ready in just a few hours – no overnight rise needed. 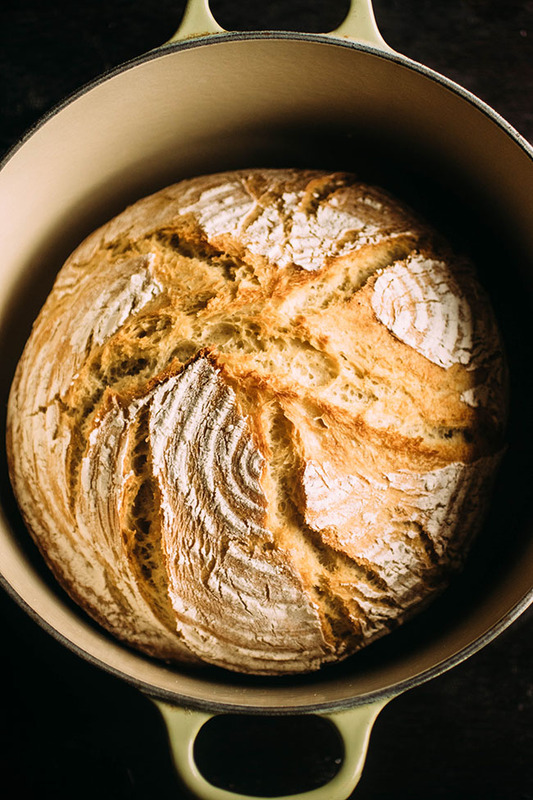 While bread proofs, place an empty dutch oven (with the lid on) in your oven and heat to 460 degrees F.
Tip your bread dough gently out of the proofing basket back onto your floured cutting board, and then VERY CAREFULLY (without burning yourself!) place it – seam side UP, this time – into the hot dutch oven. (You can use a piece of parchment paper here to make this easier if you like – see video and recipe notes). EQUIPMENT: I use a Le Creuset Dutch oven and this proofing basket. If you’re looking for a more budget-friendly Dutch oven, I’ve also heard great things about this one. My Dutch oven is a Le Creuset with the plastic knob, and I have not personally had a problem at this 460 degree F temperature. If you’re worried about the knob on your Le Creuset melting, you can replace it with one of their metal ones for relatively cheap! As always, please check the care instructions on your equipment. If you like, you can use a piece of parchment paper (as shown in the video above) to make it easier to lift the loaf in and out of the Dutch oven. You may not need all of the flour for this recipe (or you may need a little more!) The consistency of your dough depends on the temperature and humidity of the room, the weight of ingredients, etc. So if your dough looks like it needs a little more flour maybe doesn’t need the full 2.5 cups, go with your instincts! 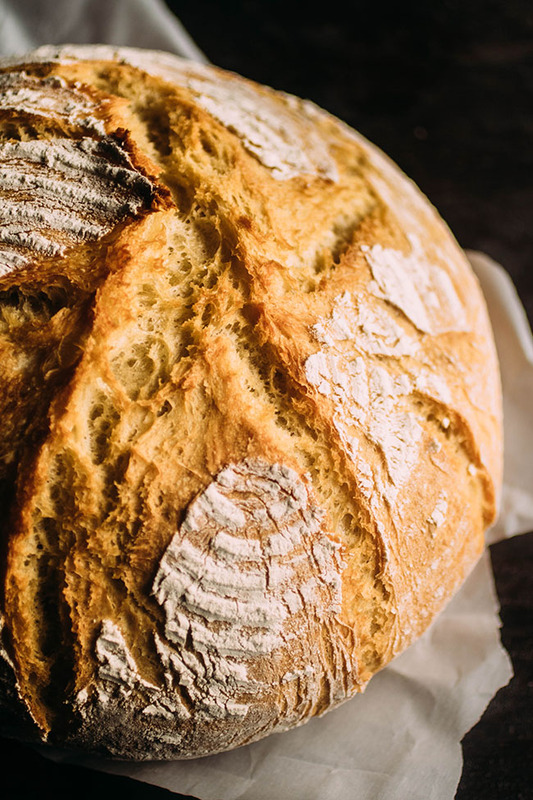 If your kitchen is chilly, you may need to let the bread rise longer than suggested. This bread is a wonderful side dish for pretty much everything, but some of my favorite pairings include parmesan spinach gnocchi, turkey chili, soups, or this creamy mushroom pasta. 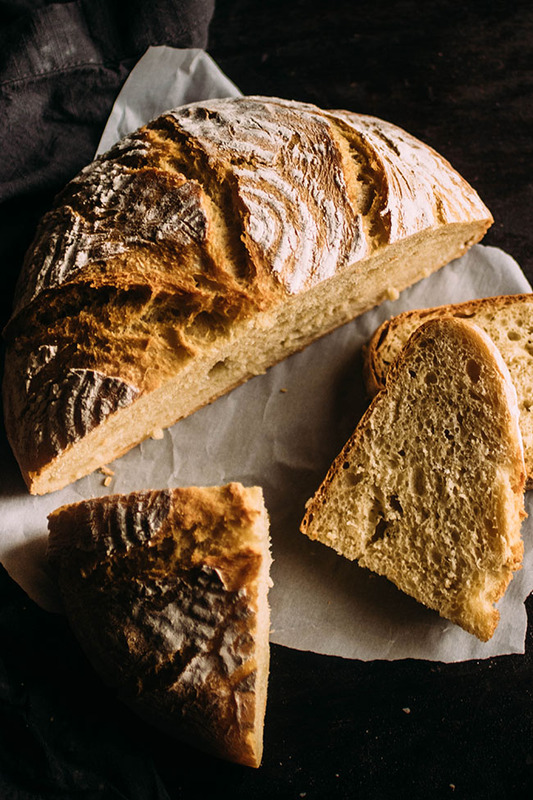 If you love this recipe, try my Easy Crusty Asiago Bread next! WOW! I am just getting into the world of bread baking, and have recently been going the easy route with bread. I use a bread machine to make my dough and proof it for me; then I bake it in my Dutch Oven like normal. I have been looking for a recipe that gives a light, springy and crunchy loaf. 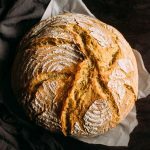 I’ve tried so many recipes, both intended for bread machines that I have finished in the oven and handmade bread recipes that I adapt to use a bread machine for the dough. This is the first recipe that gave me a light, supple, and most importantly glutinous dough! 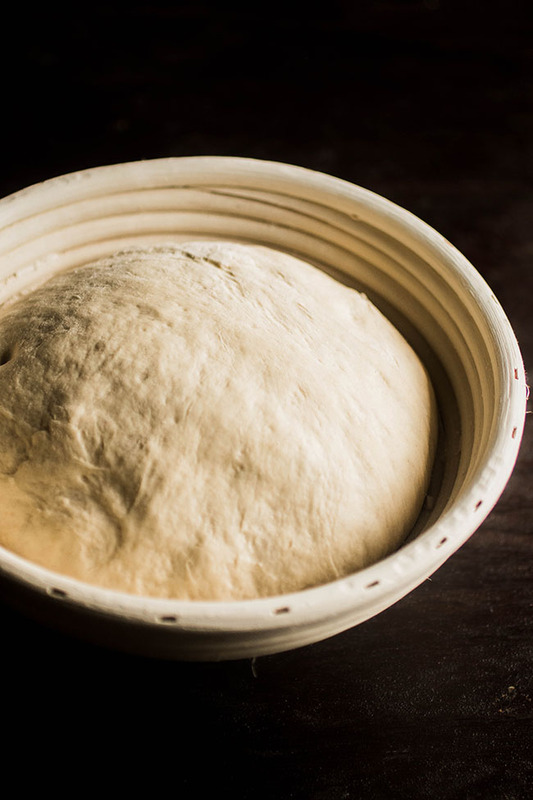 Most recipes call for only a teaspoon max of yeast, and although my dough would rise fine, it would still feel dense and hard to work. The bread would come out nice and firm, but not as light and glutinous as I hoped. I can safely say the dough this recipe makes is extremely similar to Julia Child’s French bread recipe, but with about six hours less of work! I just wanted to give you kudos for developing this recipe, and encourage you to experiment with a cheap $15 bread machine from goodwill! If anything, maybe include that a bread machine dough setting works excellent with this! Thanks! I’d love to share photos of my bread if you’re interested. 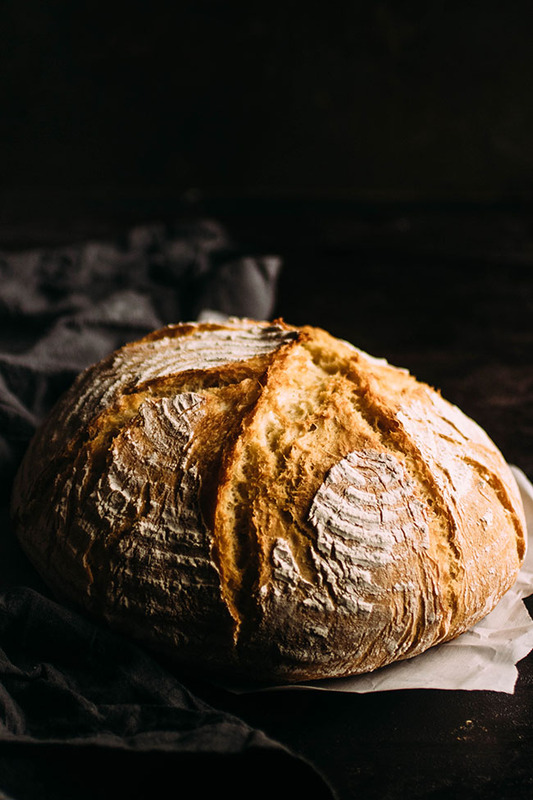 Couldn’t wait to try your recipe for crusty bread. Unfortunately it was quite flat light after proving. Where am I going wrong? Hello! It’s possible that your yeast is old and therefore not at active as the fresh stuff. Also, salt can inhibit yeast growth so I personally mix my salt with the flour. Lastly, cold environments slow yeast growth too so you might just need to wait a little bit longer than an hour. Hope this helps! Very tasty easy bread. I definitely wouldn’t call it French bread though. Has texture and flavor of homemade bread but the technique gives it a nice crust that you wouldn’t get on an ordinary loaf in a loaf pan. I would make again. I wonder if letting it rise over a longer period of time would help it develop a more airy texture. I think I will use the parchement paper next time too as it was a little tricky to handle. I love this bread! I would like it to be slightly larger. 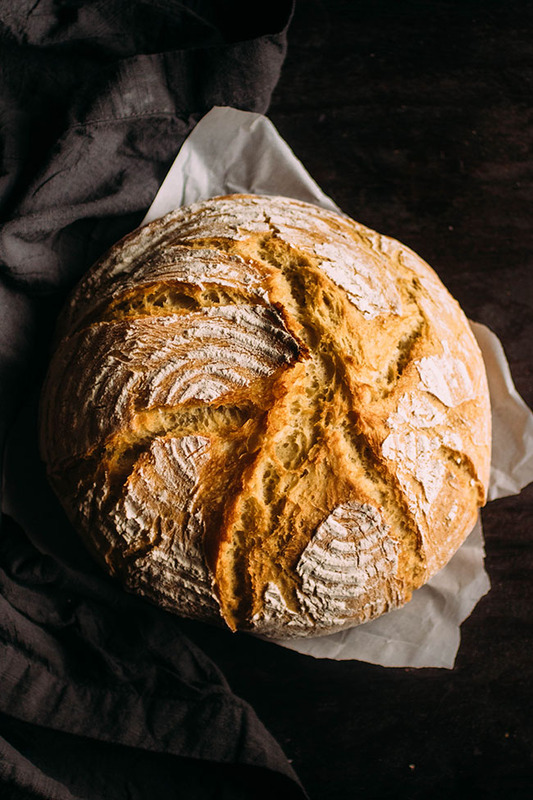 Have you tried increasing the amount of ingredients to make it a bigger loaf?